The Los Angles Lakers are poised to make a trade…just not that trade. 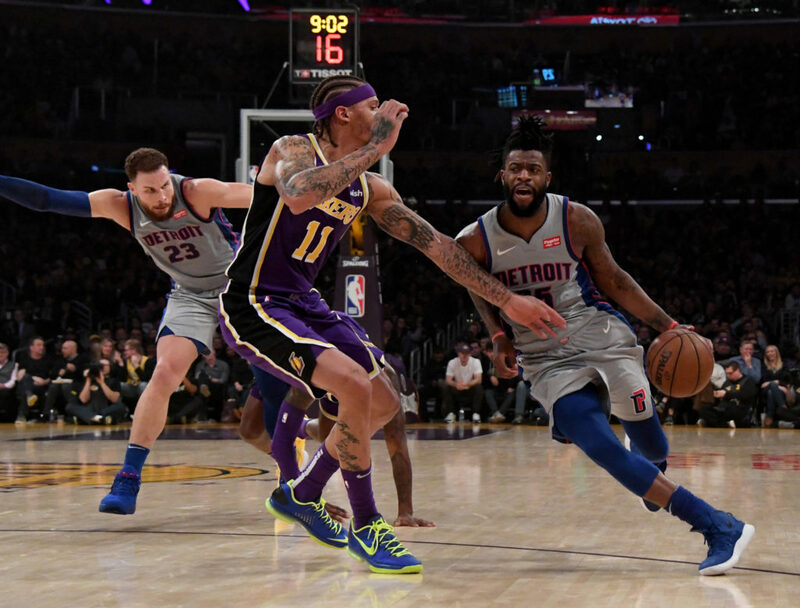 According to a league source, Lakers are close to acquiring Reggie Bullock from the Pistons for Sviatoslav Mykhailiuk. The former 1st round pick of the Clippers is in his 6th season and will now be joining his 4th team in the Lakers. Up until the past two seasons, he’s mostly been a fairly nondescript NBA player who flashed shooting ability, but never with the pop or volume which translates into a real rotation player. The past two seasons in Detroit, however, he started to find his stride and played his way into a more consistent role. After never averaging more than 15 minutes a night, he jumped to 28 minutes a night last season while averaging 11 points on 49% shooting overall and 44.5% from behind the arc on a shade over 4 attempts a game. This season he’s boosted his averages even more, playing 31 minutes a night and averaging 12 points a game (to go along with nearly 3 rebounds and 2.5 assists), though on lower averages — 41.3% from the field overall and 38.8% from behind the arc, though on 6.7 attempts. If you’re looking for a reason the Lakers made this trade, it’s those shooting numbers that tell the story. Yes, Bullock’s 6’7″ size helps (thought it remains to be seen if he can use that size to defend even adequately — the Pistons’ defensive rating is nearly 5 points better when Bullock is on the bench). But, it’s the shooting the Lakers covet. Bullock’s nearly 39% from deep on a high volume of shots this season instantly makes him the Lakers most credible outside threat and, hopefully, provides some much needed spacing to a team that struggles to generate it consistently. Further, Bullock’s play type usage offers a window into how he can be integrated more into what the Lakers like to run rather than him just parking himself in either corner or above the break waiting for catch and shoot opportunities. The numbers in the chart above show Bullock possessing ability to not only catch and shoot as a spot-up man, but to come off hand-off and screen actions as a viable threat. The Lakers playbook is lambasted by many for lacking creativity, but some of the sets they like to run most are pin-down screen and hand-off actions for their perimeter players to get open shots. 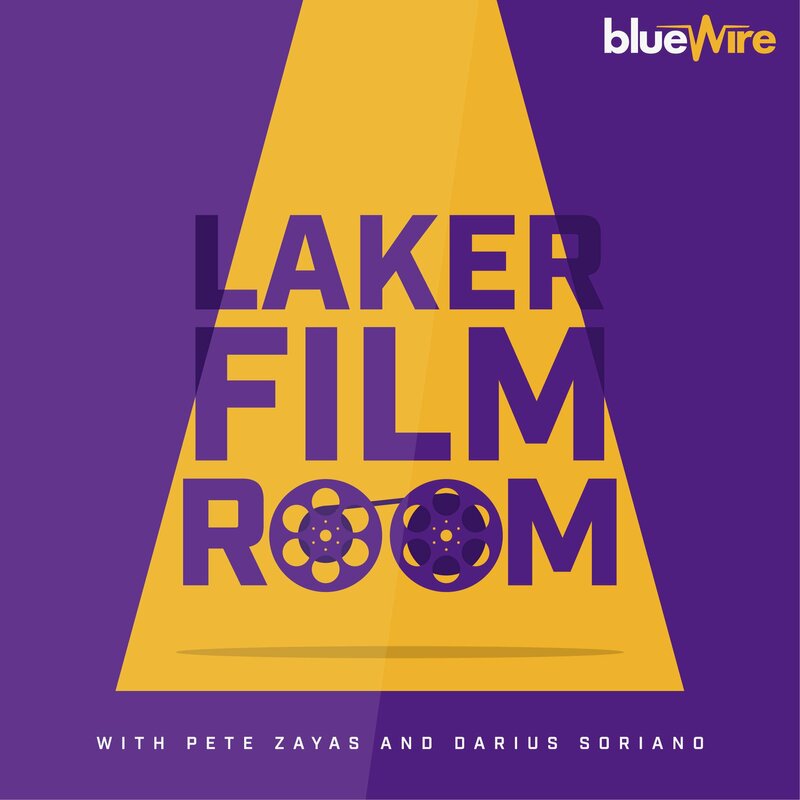 Be it Kuzma, KCP, or Hart, the Lakers try to bring their most effective long range shooters into space to let them fire away. Bullock fits into these sets well and I envision him working effectively into these actions in the hopes of creating more consistent output from set actions and lessen the reliance on shot creation at the point of attack from LeBron and Ingram (and to a lesser extend, Lance Stephenson). This gets us to Svi and why he’s moving on. Fair or not (and it’s likely not), in the half-season of partial chances he received to crack the rotation, the shooting he flashed in college at Kansas and at summer league in Las Vegas did not materialize in real NBA games. Though the samples are small, 31.8% shooting on 3’s and 60% FT’s aren’t those of a marksman. And while he showed better than advertised skill work off the dribble and a better understanding of how to manage P&R situations with the ball in his hands, the Lakers brought him in to space the floor by making shots (not just by the threat of doing so – which he did fine; defenses respected him enough to chase him off picks and close out on him hard). I wish Svi the best, though. I think he can develop into a good NBA player one day, it will just take some time. Ironically, Bullock is a great example of this as his early career shooting numbers were right where Svi’s currently are and now he was traded for because those shots go in. Lastly, while I have no inside intel on this, I do believe this trade sets the Lakers up to potentially make another deal. All season the Lakers have had too many wings to play consistently and swapping out an end of rotation one for one who presumably will need to play more only crowds things further. KCP and Lance have both been mentioned in trade rumors in the past few weeks and it would not surprise me at all to see either one swapped out for a better fitting piece, either in the frontcourt for someone who can better fit next to LeBron or at point guard where Lonzo remains out and Rondo has been effective yet mistake prone. In other words, hold on tight, you guys. The trade deadline is a day away and more moves could be coming.